Leather represents strength and durability making it a great 3rd (traditional) or 9th (modern) anniversary gift. Engraving your vows on leather represents how far you have come as a couple and the strength of your lives together. 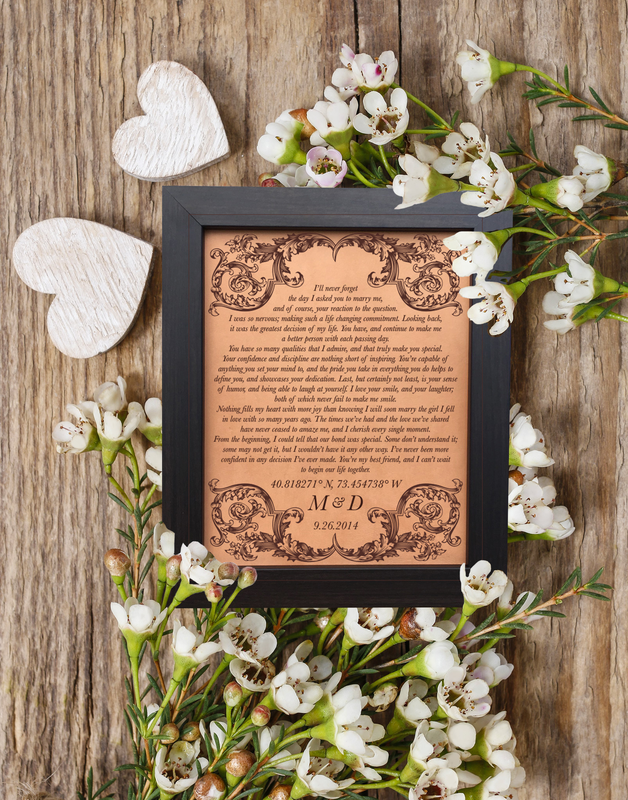 Did you have unique vows, write your own or use traditional vows? All options will look great engraved on leather to celebrate your marriage! These frames are so beautiful. They were perfect as my mother of the bride and groom gifts! Would definitely highly recommend!